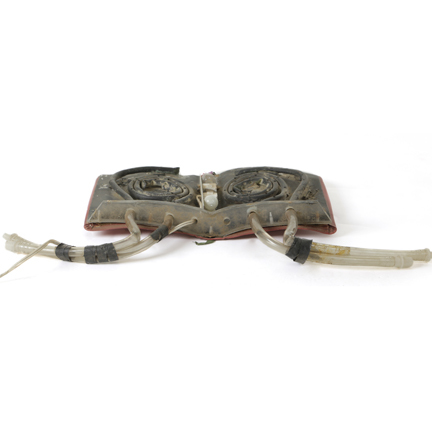 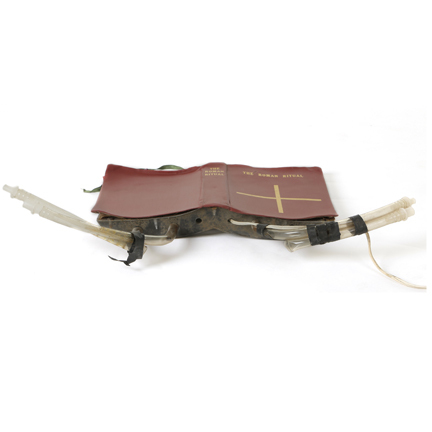 This prop was used by Father Paul Morning portrayed by Nicol Williamson “The Exorcist III”. 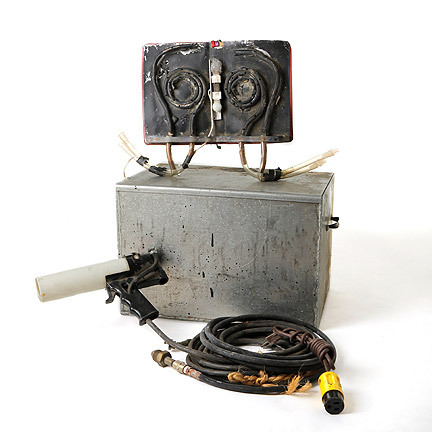 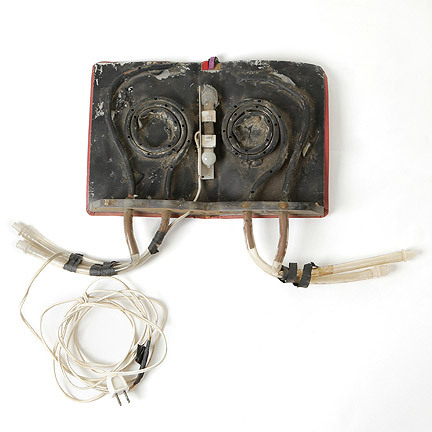 The exterior of the prop Bible has a faux cover and metal flame resistant interior, light bulbs in the bind, multi color ribbons, and tubes that connected to a compressor, which conducted the gas to combust into flames. 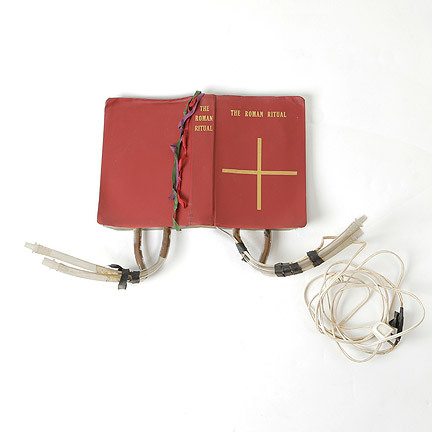 The burning Bible gag comes with production used aluminum storage box. 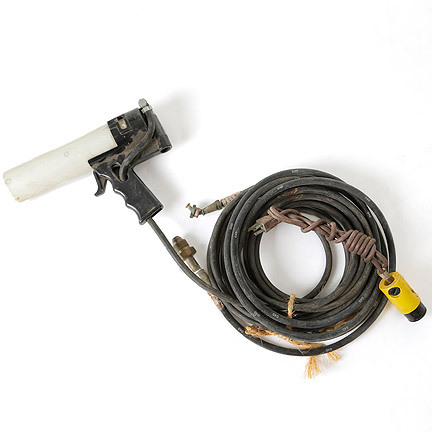 This prop was controlled by a pyrotechnic professional and should not be operated and has not been tested since its use on production. 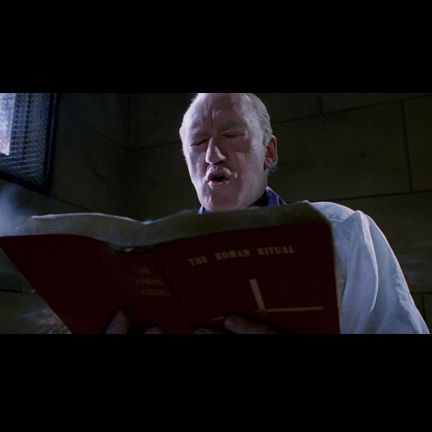 This gag was used by Father Paul Morning (Nicol Williamson) in the final exorcism attempt of Father Damien Karras (Jason Miller) who is possessed by a spirit claiming to be the Gemini killer. 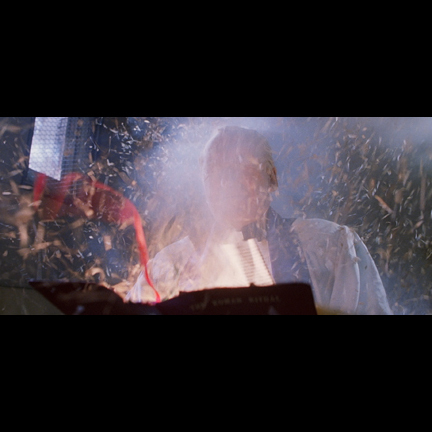 The demon Pazuzu (Gemini Killer), who possessed Regan MacNeil ( Linda Blair ) in the original Exorcist, is furious about being pushed out of the child's body. 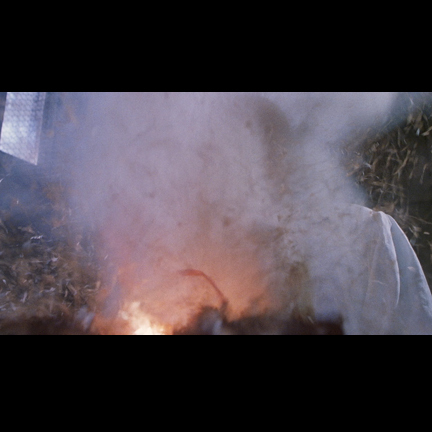 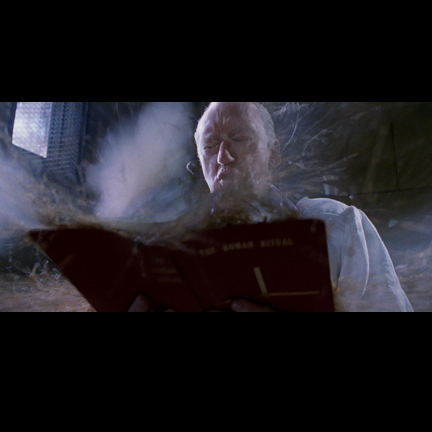 While attempting the exorcism the demon causes the Bible to explode and nearly kills the Father Paul. 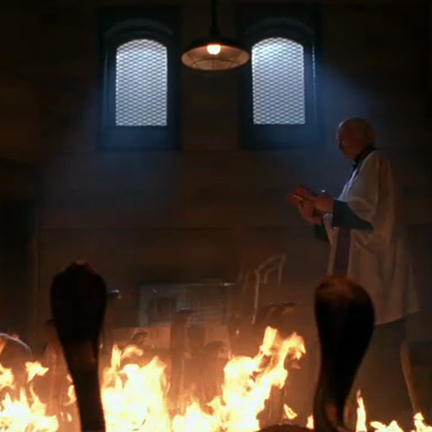 Kinderman (George C. Scott) enters the cell of few moments later and examines the Bible before the scene ends. 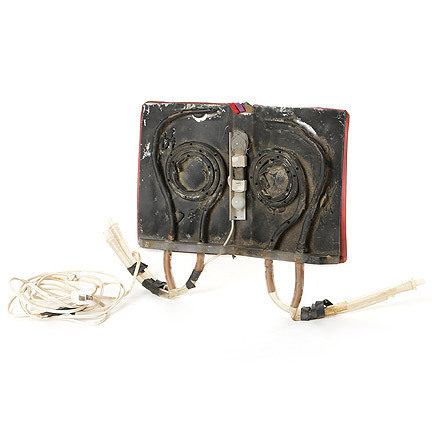 The prop is in good screen used condition and is accompanied by a letter of authenticity.